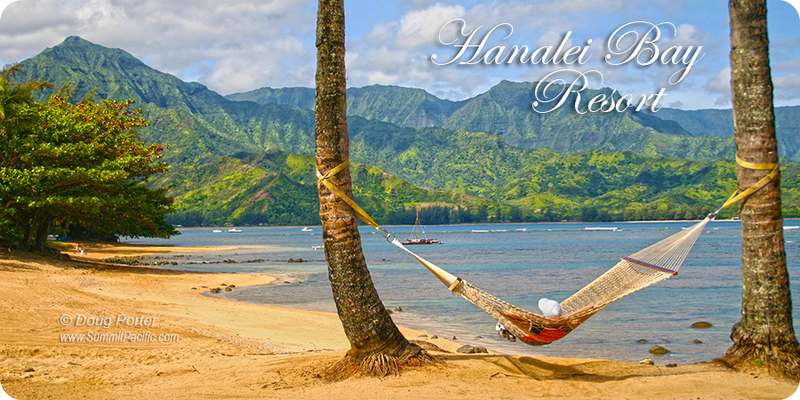 Hanalei Bay Resort overlooks beautiful Hanalei Bay on the north shore of Kauai. 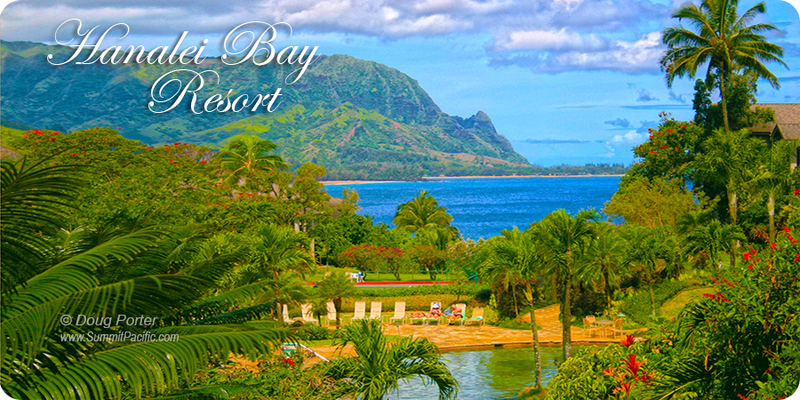 Located in the resort community of Princeville, this 22 acre tropical paradise features gardens and flowers, waterfalls, cascading pools, and access to one of Hawaii's most beautiful secluded white sand beaches - so beautiful in fact that this location was used to film the classic movie production of Rodgers and Hammerstein's "South Pacific." Guests enjoy full access to all resort amenities, including two swimming pools, 8 tennis courts, bell & shuttle service, front desk and more. The Happy Talk lounge is located on property and is a great place for enjoying food, live music, and friendly tropical atmosphere. We feature condo hotel rooms as well as studios and full 1, 2, and 3 bedroom condo suites, each commanding spectacular views. 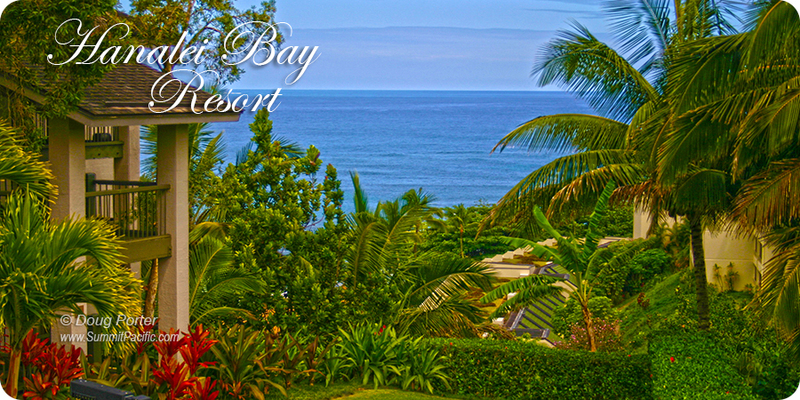 All units at the resort are privately owned and often managed and decorated by the owner in a wide variety of taste, style, and level of upgrade. To get the unit that you want you should use this site to see pictures, floor plans, and descriptions of each unit before making your reservation. 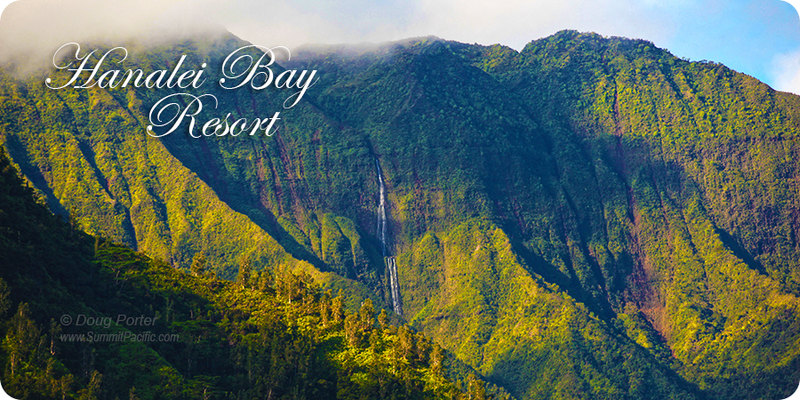 Come join us for a fun family vacation, a relaxing get-a-way escape, or a romantic Kauai honeymoon retreat. 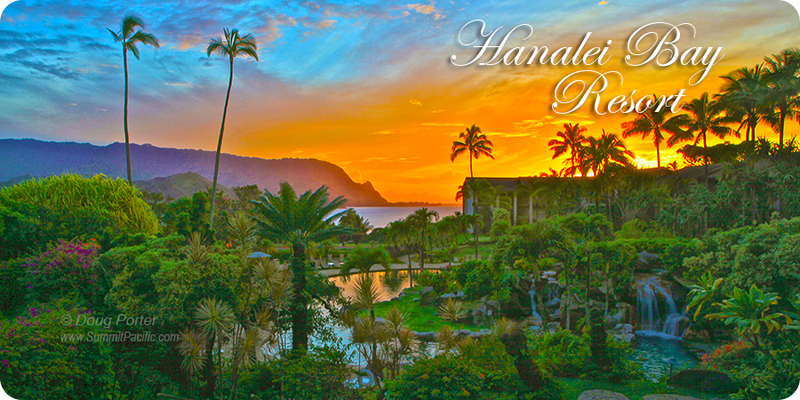 We'll help make your Hawaii vacations worth remembering! 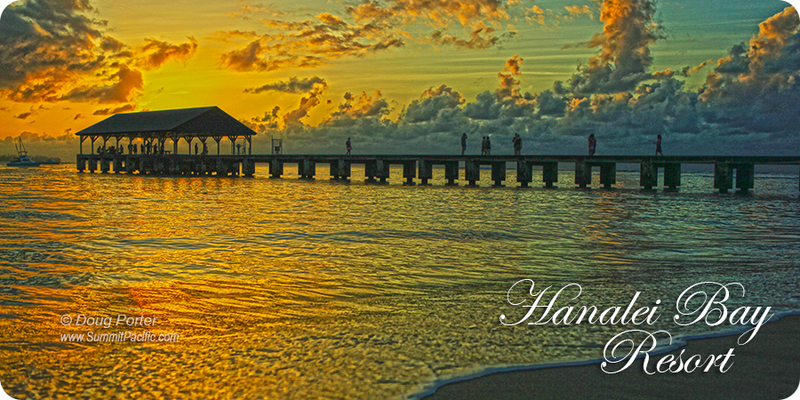 Choose from 30 privately owned and individually managed condos hotel rooms. Units come in a large variety of configurations and sleeping arrangements, with some units having king, queen, or double beds. 10 privately owned and individually managed studio condos. Most units have kitchenettes, a dining area and fold-up wall beds. 10 privately owned and individually managed studio condos. Most units have kitchenettes, a dining area and fold-up wall beds plus an adjoining bedroom suite with king bed and additional bathroom. Take a look at these privately owned and individually managed full 1 bedroom condo suites. Units have full size and fully equipped kitchens with a dining area and living room, large bedroom and bathroom. Most units also have a washer and dryer and include everything you need for your comfort and fun. 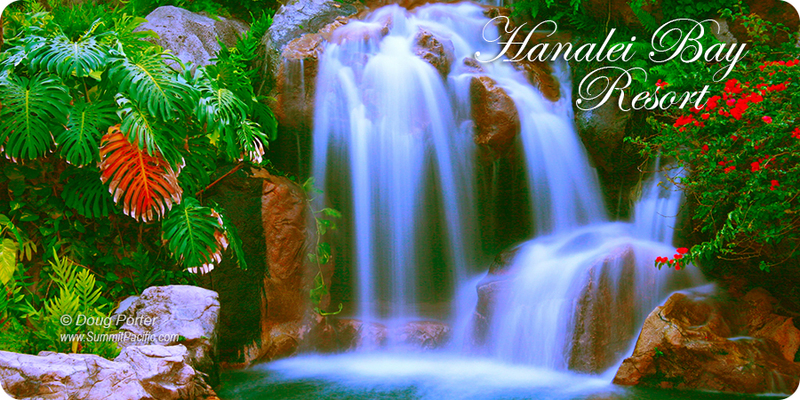 Choose from 25 privately owned and individually managed full 2 bedroom condo suites. Units are available with King, Queen, or double beds or a combination to suit your needs. Units have full size and fully equipped kitchens and easily accommodate small families or two couples traveling together. Most units also have a washer and dryer and include everything you need for your comfort and fun. Choose one of these 6 privately owned and individually managed full 3 bedroom condo suites. With over 1700 square feet of living area, these units are the ultimate in spaciousness and comfort. Units have full size and fully equipped kitchens and are perfect for families or 3 couples traveling together wanting to share a unit. Units also have a washer and dryer and include everything you need for your perfect vacation. 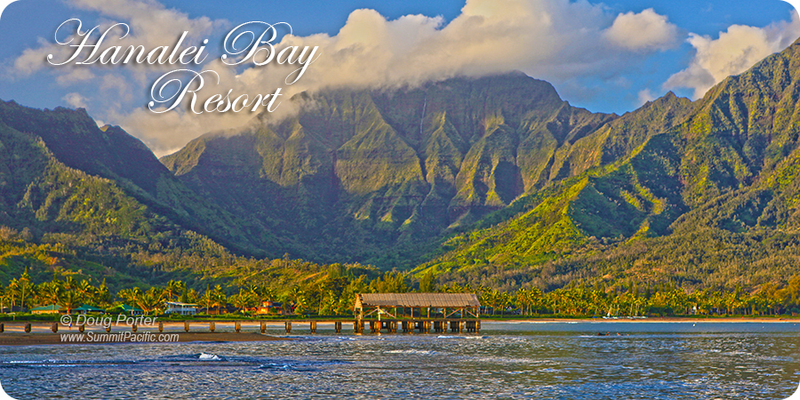 You'll appreciate the resort's close proximity to dozens of restaurants, beautiful beaches, snorkeling, and a host of other fun Kauai activities such as hiking, sight-seeing, horseback riding, great surfing, kayaking, and of course discounted golf rates at Princeville's Makai and Prince Golf Courses. 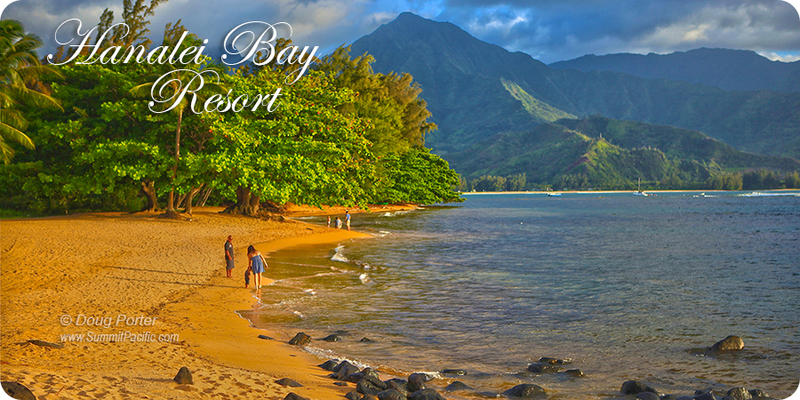 Hanalei Bay Resort is adjacent to the St. Regis Princeville Resort and its restaurants and shops. The Princeville Center, home to numerous shops, banks, real estate offices, a grocery store, restaurants, hardware store and gas station is located at the entrance to Princeville and is just two miles from the resort. A bike/jogging path along the golf course is also available.